A good walking boot deserves a good sock... and you can't beat Merino wool for comfort, warmth and moisture management. 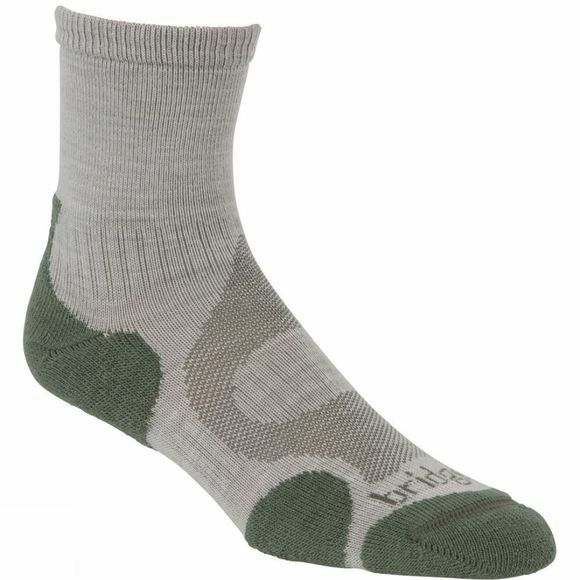 Add a little Lycra and you've got the Merino Light Hiker from Bridgedale, a great-fitting, durable all-round walking sock. The fabric has wicking properties to regulate temperature and to keep your feet dry, while the fully cushioned sole keeps your foot firmly in place to avoid rubbing and blisters.